Set in the exotic country of South Africa, Duma tells the powerful adventure tale of an unbreakable bond of friendship between a cheetah named Duma and a courageous young boy named Xan (ALEXANDER MICHALETOS). Xan faces the true test of love when he must cross the wilds of Southern Africa to return his best friend to his rightful home. When Xan and his father Peter (CAMPBELL SCOTT) come across an orphaned cheetah cub, they name their new friend Duma, the Swahili name for cheetah, and he quickly becomes a member of the family. But when Duma is almost fully grown, to Xan‘s dismay, his father tells him that it‘s time to take his friend to his real home before he grows too old to survive in his native habitat. As Peter says, Duma has to live the life he was born to or he‘ll never be fully alive. Xan reluctantly agrees, but their plans must be put on hold when his father suddenly falls ill and Xan and his mother (HOPE DAVIS) must move to Johannesburg. 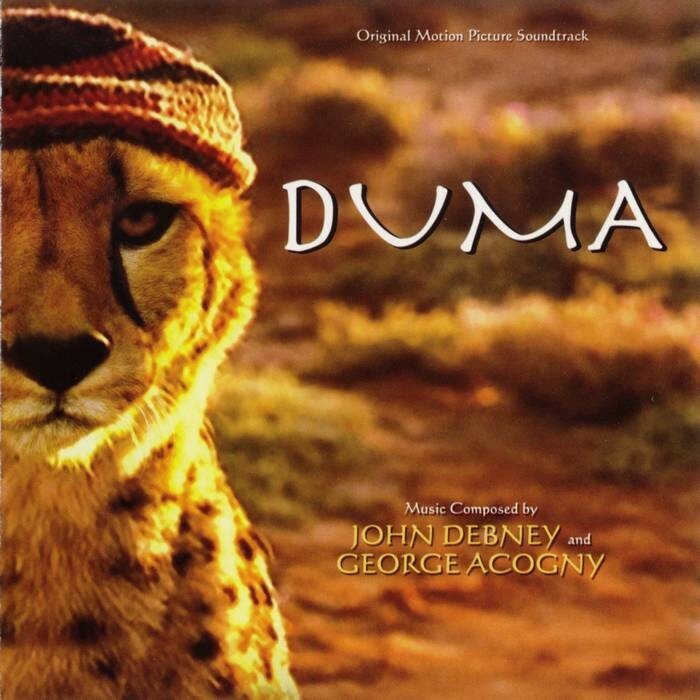 When Duma escapes and pays a disastrous visit to Xan‘s school, the two of them must flee the city to keep Duma from being put into captivity. 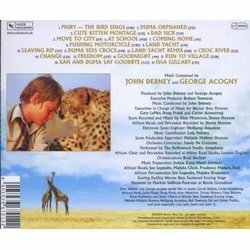 Not knowing where to go, Xan gets an idea he‘ll carry out the plan his dad had outlined, taking Duma home to a safe and lush place hundreds of miles across South Africa, over the scorching Makgadikgadi Salt Pans, through the Okavango Delta and into the Erongo Mountains. Before long, Xan is piloting his dad‘s motorcycle with Duma riding shotgun in the sidecar, the wind whipping through his fur, as the two friends speed across the barren desert and into the wildest adventure of both their lives. 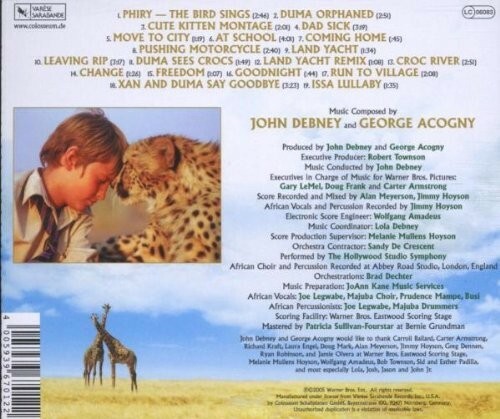 The beautiful and exotic score that accompanies Xan and Duma on their adventures was composed by John Debney and George Acogny.